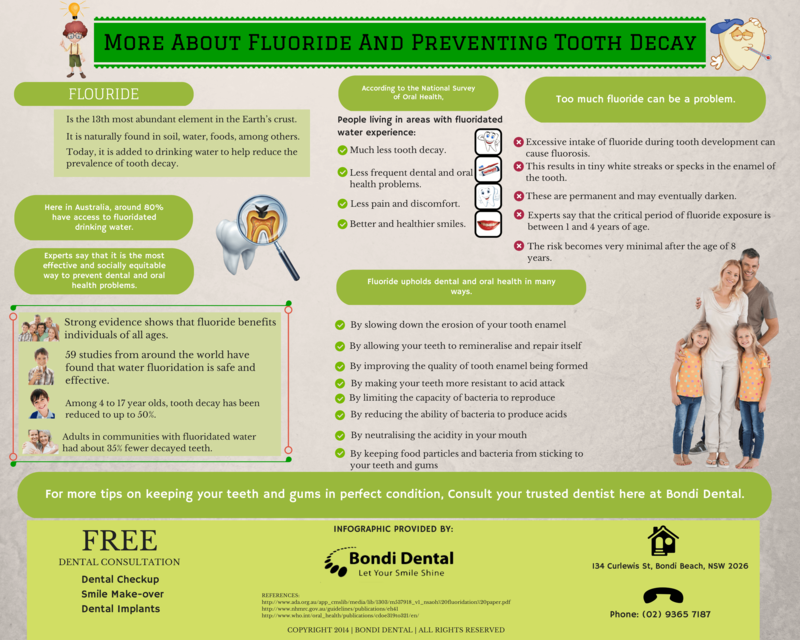 When it comes to your dental and oral health, fluoride is easily one of the most important minerals. It help protect your teeth from decay by making your teeth more resistant to acid and bacterial attacks. Plus, it aids in the remineralisation of your teeth. Furthermore, the presence of fluoride ions in your saliva neutralise the acidity in your mouth. This limits the ability of bacteria to reproduce and cause harm. In Australia, around 80 per cent of the population enjoy access to fluoridated drinking water. Studies have shown that this has significantly improved the dental and oral health of both kids and adults. With the help of your trusted dentists and sufficient intake of fluoride, you and your family can enjoy a lifetime marked by healthy and beautiful smiles. Regular dental checkups every six months are recommended by experts so as to make sure that dental and oral health concerns are addressed and more preferably, prevented. 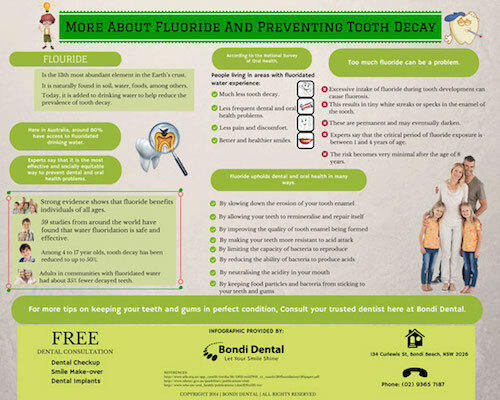 For more tips on dental and oral wellness, consult your reliable dental care partners here at Bondi Dental. Your trusted Bondi dentist is committed to providing you with top-notch dental treatments so as to help you achieve and maintain your best smile ever. Call us today on (02) 9365 7187 or book an appointment online to claim your FREE dental consultation. Here at Bondi Dental, we let your smile shine.